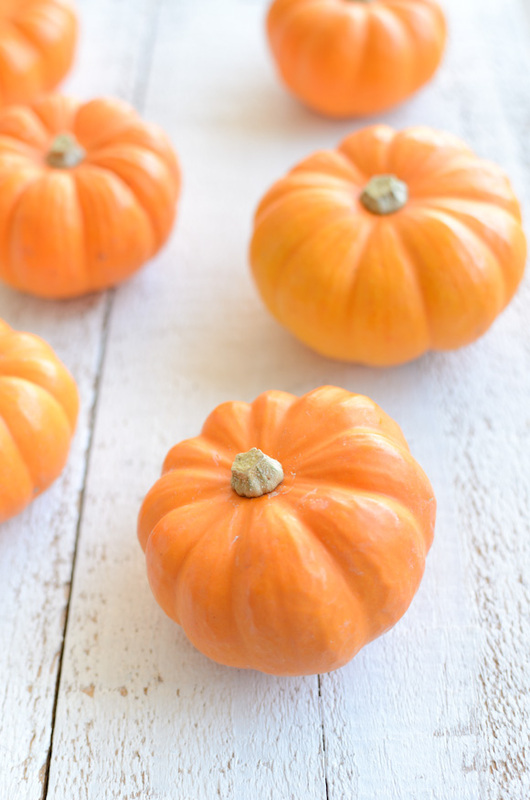 How cute are these mini pumpkins?? I love their bright orange colour and the sweet flavour. Stuffed with a quinoa-vegetable mixture they make a perfect little starter for a dinner party or just a lovely a lovely little lunch! You could add any seasonal vegetables in the mix as well as any seeds (sunflower, pumpkin, hemp, for example) or nuts (soaked or toasted almonds, toasted walnuts, etc.). 1. Cut the tops off the pumpkins and carve out the seeds. You can dry and roast these seeds and add them into the stuffing, if you like. 2. Preheat the oven to 180C. 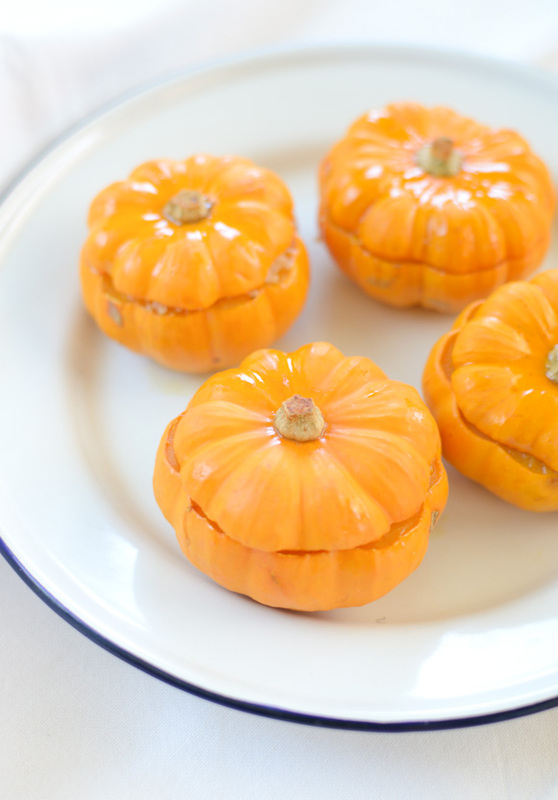 Place the pumpkins (with their tops on) on a baking tray and drizzle with some olive oil. 3. Bake for about 20-30 minutes (depending on the size of the pumpkins) or until tender. Remove from the oven and let cool slightly. 4. Combine quinoa, carrot, green shallot and lime juice in a bowl. Season with salt and pepper. Spoon the mixture into the pumpkins. Serve warm. That is such a colourful dish, sure to brighten up a dull day. I have only recently discovered the delights of quinoa and I am really enjoying using it. I love stuffed pumpkins and/or papsicum. So many options for fillings and always yum! Are these the little decorative pumpkins that come out around Haloween? I didn't know they were edible. You are so right , they make a cute presentation. I'm pinning this . I love it. I'm not sure if they are the same pumpkins, but these are definitely edible! These are so cute!! I bet this quinoa stuffing would be good in acotn squash too. These little pumpkins look delightful. I'd like a couple, please, or maybe a bigger one! Lately I've been in a quinoa kick. I love anything quinoa since a friend of mine taught me how to prepare it correctly. This recipe looks cute and delicious. they ARE cute! And such a simple recipe. As you know, I eat quinoa ALL the time, so this is a great idea for serving it up pretty to someone else! 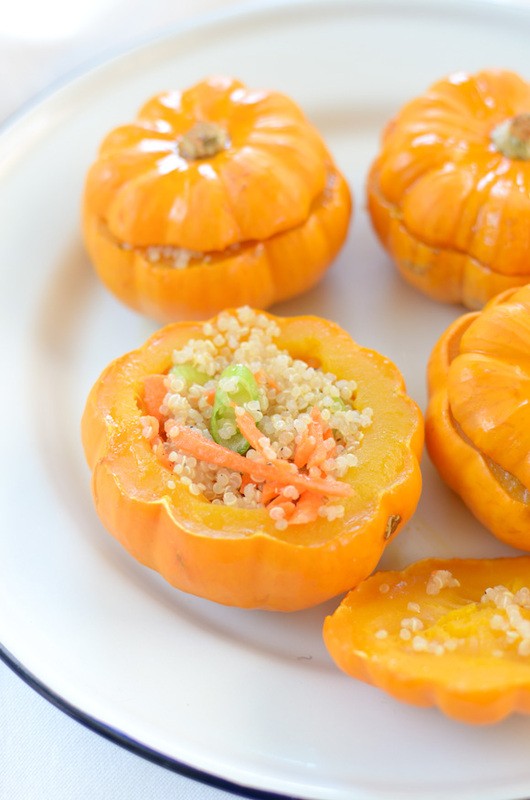 Ohh these are so cute and healthy because they're stuffed with quinoa!!! :) YUMMY!